Tinsel shop turns 1 year old this month of February. Horreeyyy! They will be having "THE ANNIVERSARY BLOWOUT!!! 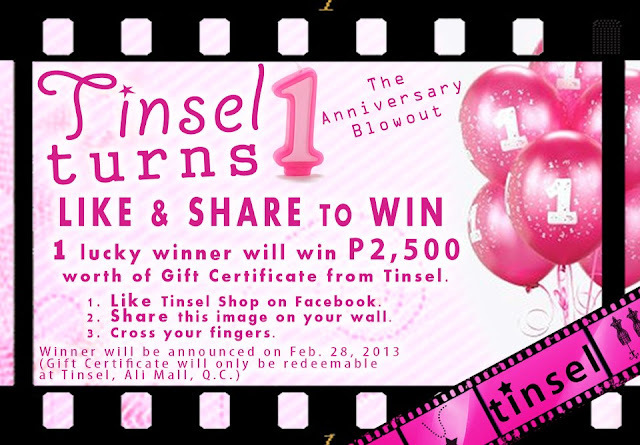 ", One (1) lucky winner will win P2500 worth of Gift Certificate from Tinsel Shop. All you have to do is follow the instruction below. Tag 5 of your friends. Make sure you like and share so your entries will be valid. Best of luck!